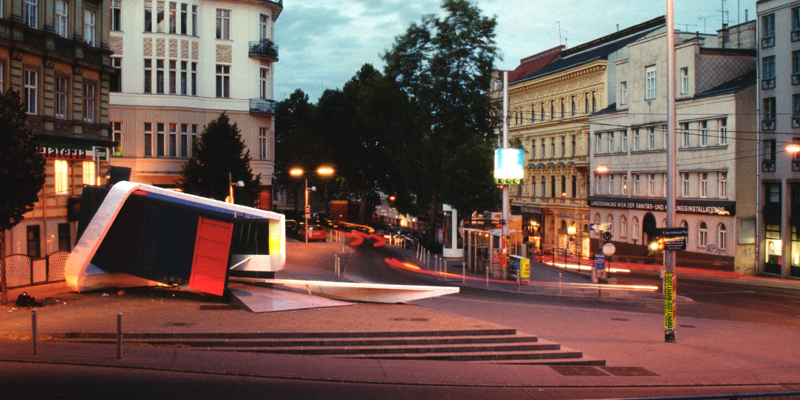 The task was to adapt and transform a given Container (previously painted by the artist Peter Wilson) into a public pavilion for contemporary video- and laser art. The container itself stayed unchanged, instead it was tilted to alienate it even more from its former industrial purpose. It is wrapped by a continuous white structure, the loop that refers to the video clips played in repetition inside the container. The ribbon folds around the box and is transformed into different functions like seating, info board, rack or railing. The loop connects the interior of the container with its surrounding by expanding the inner projections into an open urban cinema. 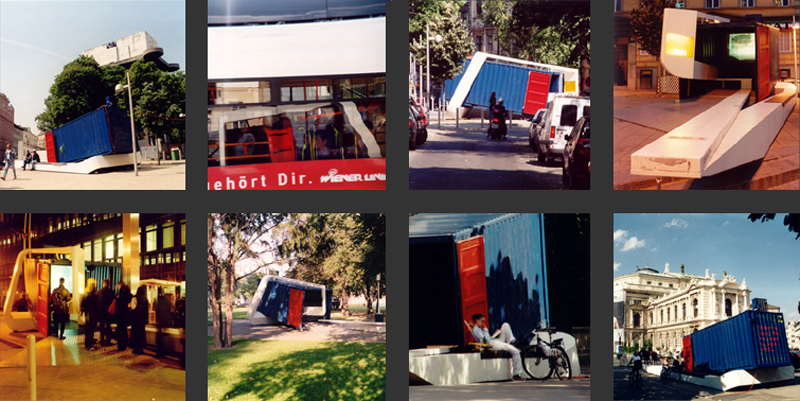 Displayed on four different locations in Vienna, Looped Container was used as an urban furniture not only by people interested in art but by a wider public. It was turned into a parcour by skaters, a resting place for passerbys and meeting point for locals.